Much of Philadelphia's inaugural LGBTQ State of the Union on Tuesday night focused on the need for inclusion. Racism remains on the minds of many in the community, especially in light of ongoing accusations of discrimination in the Gayborhood. “Yes, we’ve struggled,” said Lee Thomas, board president of Philly Black Pride. 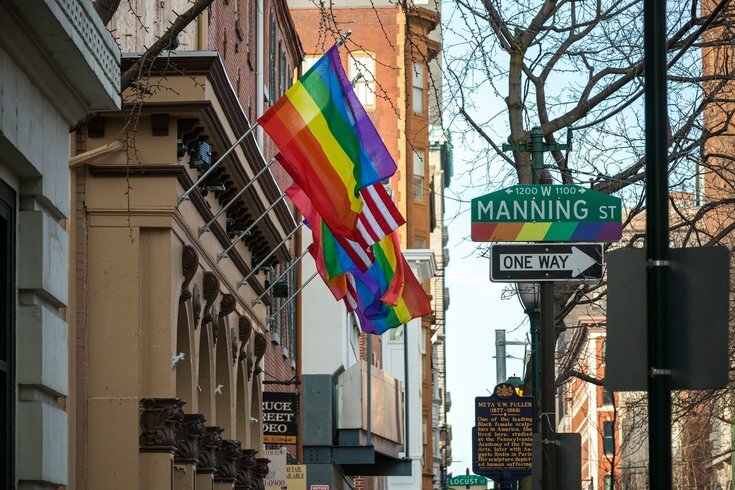 Philadelphia has removed gender-specific terms from parts of city code to make sure members of the LGBTQ community are eligible for certain benefits. Mayor Jim Kenney signed the legislation, introduced by Councilman Derek Green, on Wednesday. Specifically, the new law affects the realty transfer tax and senior citizen low income special tax, taking out the words “husband,” “wife,” “widow” and “widower," and replacing them with "spouse." Green said at a bill signing ceremony that the new law will make sure "all people are represented the way they should be represented." "It’s imperative that any loopholes that make it easier for any married couple to be taken advantage of or to be disqualified from having any marital benefits, be closed once and for all," Green said. Individuals can be exempt from the realty transfer tax, which is levied on sale documents for real estate transactions, if they are married. Seniors can be eligible for the senior citizen low income special tax if they are married to someone older than 65 who lives in the same household, or if they are 50 or older and were married to someone who passed away after the age of 65. The previous, gendered terminology in these provisions, according to city officials, provided legal challenges for LGBTQ couples who didn't necessarily conform to the labels of husband and wife, or widow and widower. "The inclusion of gender neutral language will help to streamline legal proceedings and demonstrates Philadelphia’s status as a city that ensures acceptance and equality for all its citizens, regardless of gender identity or sexual orientation," Kenney said.